A celebrated Olympian recounts how he rose to the top of his sport, crashed, and found redemption. Swimming became Ervin’s favorite childhood recreational outlet by accident. Later, it became a sport that transformed him into a prisoner of his own athletic gifts. This book, which tells his story through a narrative that interweaves the former gold medalist's memories with commentary by his friend and colleague Markides, reveals the extreme highs and lows that characterized Ervin's remarkable life and career. The “wildfire” son of a half-Jewish mother and African-American father, Ervin’s swimming talent, and personal rebelliousness, manifested early on. Frequently disobedient in school, he set his first swim record at age 10. A diagnosis of Tourette’s syndrome in junior high school made the already wayward Ervin even more difficult to handle. However, it also seemed to offer “cognitive advantage[s] and nervy sensitivity” that made his swimming even more brilliant. His athletic prowess garnered him a place on the University of California’s swim team in the late 1990s and a gold medal in the 50-meter freestyle at the 2000 Olympics. Yet “failure after failure” in everything from personal relationships to school dogged him in the aftermath of his success. Beset by depression and lost to drinking, drug-taking, and other risky behaviors, Ervin auctioned off his gold medal, found temporary respite in Zen and Sufi mysticism, moved to New York, and learned how to play guitar. A job as a swim coach brought him back to the sport. Gradually, Ervin put the pieces of his life back together. 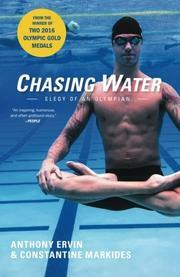 He graduated from Berkeley a decade after he started and trained for a berth—which he won—on the 2012 U.S. swim team. The author never flinches at revealing his less-than-perfect past, and the humility he demonstrates at coming to terms with his own egotism and personal shortcomings makes the book frequently compelling. A provocative and refreshingly honest redemption memoir.